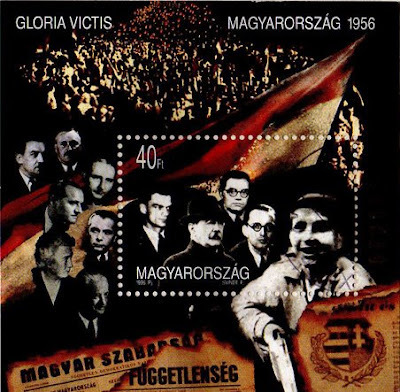 eD@HoMe: A lovely cover from Hungary! 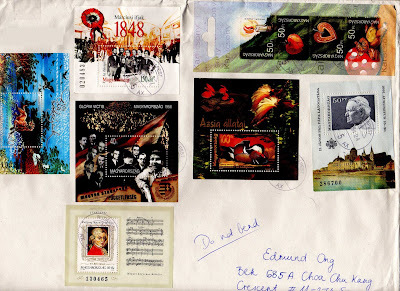 Today, I have this very beautiful cover franked with 7 miniature sheets sent from Hungary to share with you. It is my first cover from this Central European country! 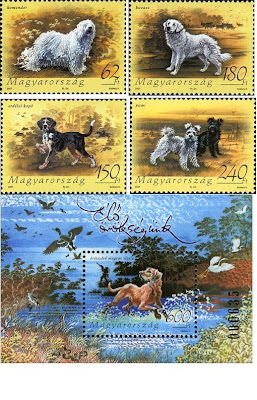 The miniature sheet on the extreme left of the cover belongs to the " Our Living Heritage - Dogs" series, issued on 9th May 2007. The dogs stamps in the set depict Komondor, Kuvasz, Transylvanian Hound, Pumi & Wire-haired Hungarian Vizsla. 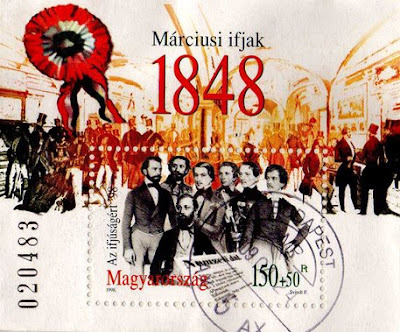 Next, we have a lovely miniature sheet issued by the Hungarian Post in 1998 to commemorate the "150th anniversary of the March revolution in 1848". 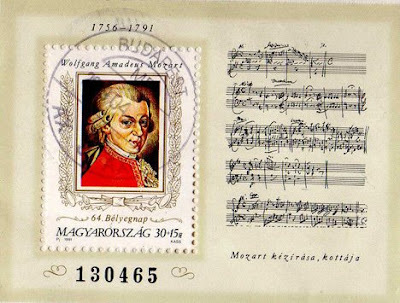 Below it, are 2 miniature sheets belonging to the "Uprising of 1956" and "Amadeus Mozart" series. They were issued in 1996 and 1991 respectively. 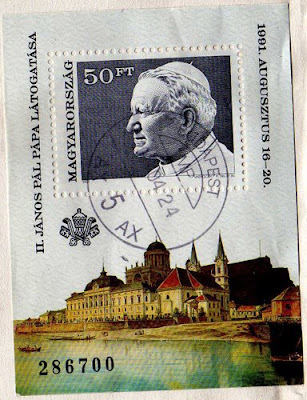 On the top right corner of the cover, is a miniature sheet from the "Christmas" series, issued in 2005. 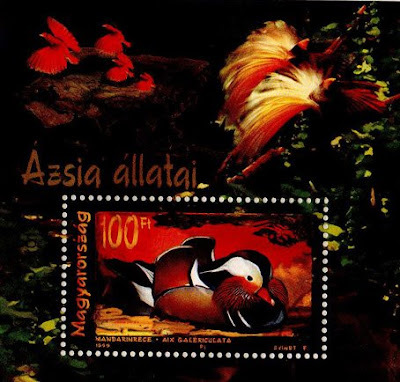 Lastly, we have 2 miniature sheets from the "Asiatic animals - Mandarin Duck" series, issued in 1999 and " Visit of pope John Paul II" series, issued in 1991. 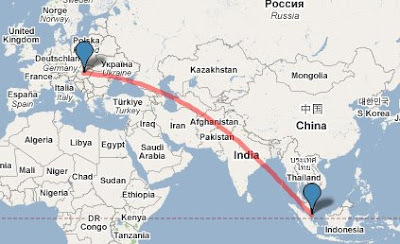 This gorgeous cover was postmarked on 24th April 2009 in Budapest, the capital city of Hungary and took 7 days to travel an estimated distance of 9,505kms.